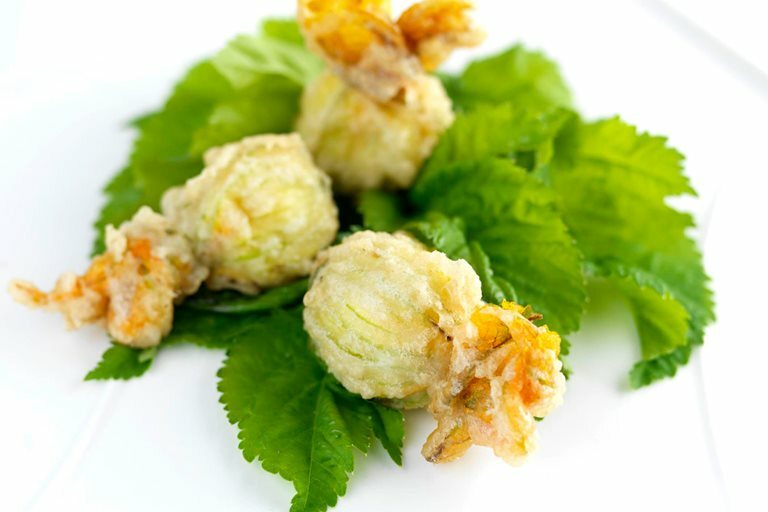 A delicate, beautiful summery starter using courgette flowers. Frances Atkins's exciting recipe features cream cheese, Parma ham and chives, and calls for the flowers to be coated in a light tempura batter to create a great starter or even a snack. Frances Atkins creates imaginative, spirited and beautifully executed food inspired by the stunning landscape of the surrounding Yorkshire Dales.